My first year as Executive Director has flown by incredibly fast and we can look back together and celebrate many accomplishments this year. You will be able to read about these in this newsletter. The momentum for cycling in Canada has grown and is unstoppable now. From big local victories like Bike Lanes on Bloor Street in Toronto and a bike-friendly bridge in Halifax, to the growing call for federal investment in cycling and walking from our partners like the Canadian Association of Physicians for the Environment (CAPE). CAPE recently wrote a letter, calling for a National Active Transportation Strategy that was signed by 8 major national health organisations, and sent to Minister Philpott. 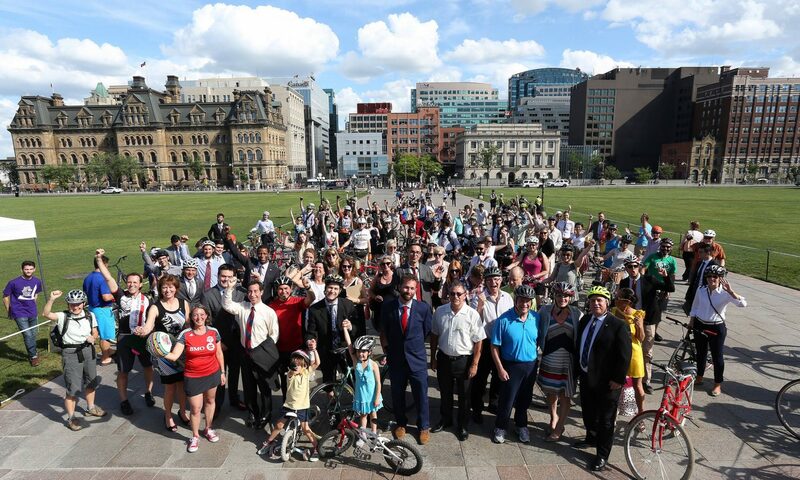 Our National Bike Summit, the first of its kind in Canada, was a sold-out event with speakers such as Mayor Lisa Helps of Victoria, Josh Shaw of Lightfoot Bikes and Jean-Francois Pronovost of Velo Quebec, all joining our call for a National Cycling Strategy. As your ED I have been meeting with numerous federal officials, elected and non-elected. I have met with the Ministries of Environment and Climate Change, Health, Infrastructure and Communities, Transport Canada, the Privy Council Office, Small Business and Tourism and Sports and Persons with Disabilities. I’m developing ties with national stakeholders including the Federation of Canadian Municipalities, Canadian Urban Transit Association, Parachute Canada, Cycling Canada, Physical and Health Education Canada, Green Communities Canada (GCC) and the Active School Travel Alliance of Canada (ASTAC). Together with these allies we can get to a #BikeFriendlyCanada. In fact, with GCC and ASTAC we have formed the Active TransportationAlliance, to further our common goal of making Canada a bike and walk friendly country. We can’t do this work alone. We need the financial support of all of you that believe in a #BikeFriendlyCanada to do our work and take it to the next level. Please contribute to our campaign by clicking the Support Us Today button below. We are planning a two-day National Bike Summit in Ottawa May 28-29, 2018. Help us make it happen! We’ve launched an e-petition to support Bill C312: An Act to Establish a National Cycling Strategy. Together, our voices and signatures will show the Minister of Environment and Climate Change Catherine McKenna that we do WANT federal leadership and vision for cycling. Sign today and share. As referenced above, eight national health organizations have sent a letter to the Federal Minister of Health asking her to invest in the development of a National Active Transportation Strategy. Signatories to the joint letter include Heart & Stroke, Diabetes Canada, Canadian Cancer Society, The Canadian Lung Association, Asthma Canada, the Alzheimer Society of Canada, Upstream, and CAPE. 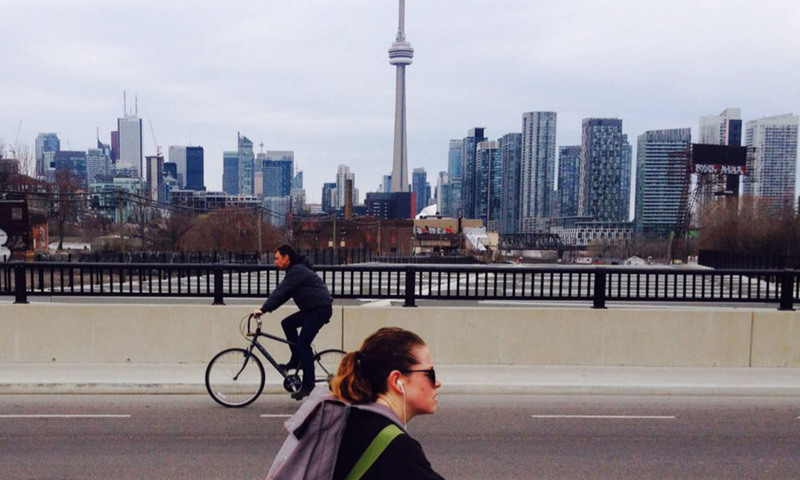 Kim Perrotta of CAPE created a blog post with details of what Active Transportation can do for Canada. 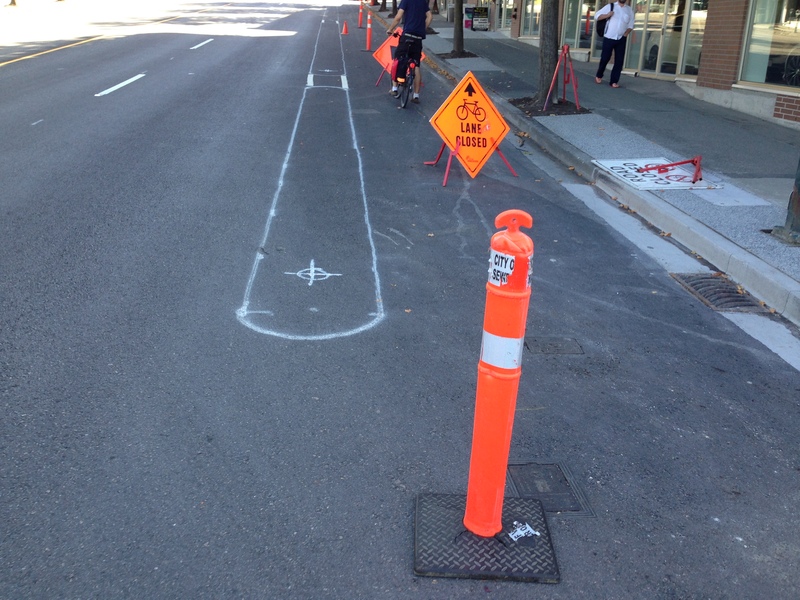 Attention active transportation / safe streets advocates! On Wednesday, Sept 20th join Canada Bikes for an evening of networking during the Walk21 Conference in Calgary, Alberta. We invite all members of non-profit advocacy groups, urban planners and anyone interested in active transportation to attend and submit a 2 minute elevator pitch about your current initiative or your base platform to encourage networking with groups from across the country and beyond our borders. 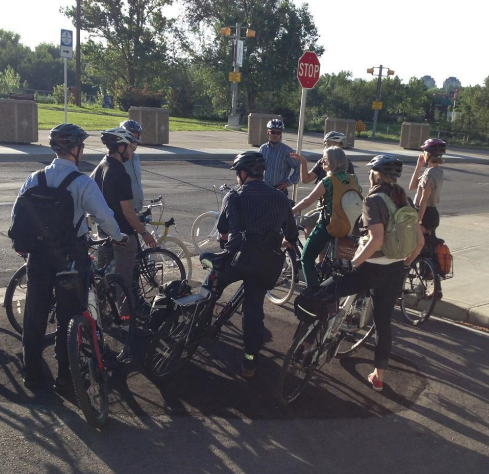 Canada Bikes in alliance with Green Communities Canada (Canada Walks) and National Active and Safe Routes to School will be sharing thoughts and progress on an Active Transportation National Strategy in anticipation of a workshop September 23rd. We will have each group present their vision, and then enjoy some snacks and Alberta brewed beers ($4.00 pints for attendees!) and explore alliances, partnerships, and potential crossover. Please read more about us and register today! Please also consider joining us on September 23rd for our workshop. There is no better place to have a meeting and no better way to see the impact of cycling on your community than from the seat of a bicycle. Whether you are an MP or simply a citizen keen to show your MP what’s out there, Canada Bikes invites you to organize a Ride Your Riding event in celebration of Canada’s 150+ Birthday celebration. What? A community-oriented, family-friendly, educational bike ride between June and September 2017.
Who? Local federal provincial and municipal elected officials are invited to join, and so is the whole community. Acts as an opportunity to show off the great active transportation projects and programs happening in your community. The rides are encouraged to be all-inclusive and should be routed with consideration of all ages and abilities for cycling. Our role: Canada Bikes will be contacting local MPs, to encourage them to start planning a date between June 1st and August 31st 2017 when a ride might be appropriate within their schedules, and will track all the ridings that have had one. We can also help get you started. Just email communications@canadabikes.org for details. 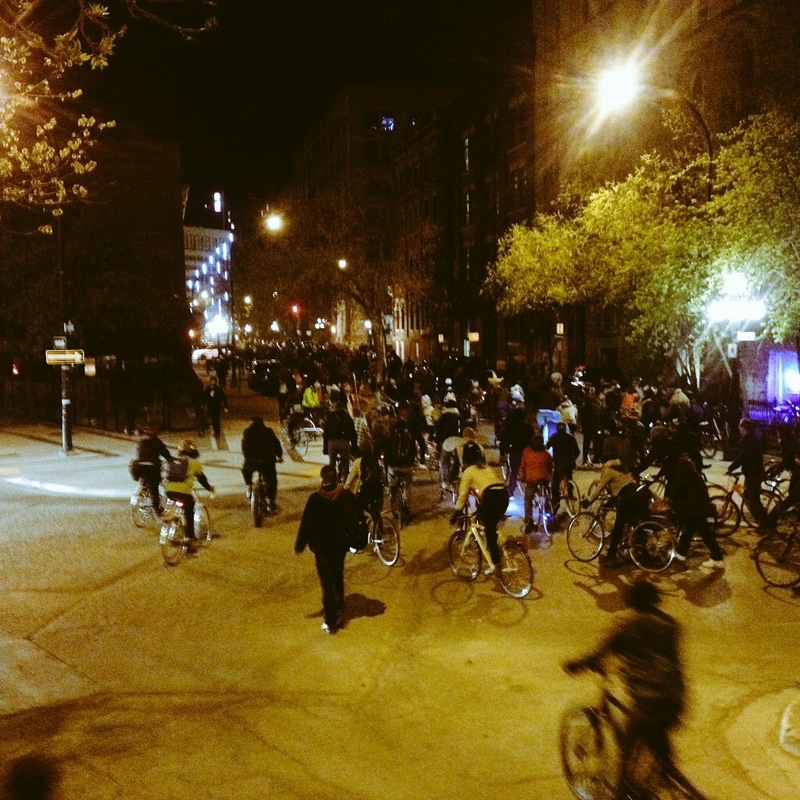 The impact: Selfies with the hashtag #RideYourRiding are highly encouraged and unavoidable. Have fun. We’ll certainly be sharing widely and local bike groups have a wide reach. Other tangible ideas, projects, intiatives, plans?? You never know what can come out of a meeting by bike. Canada Bikes will be tracking all the rides happening over the country and paying close attention. We’ll make a map and try to get as many of the ridings in Canada covered (with your help, of course). – Gord Johns, MP for Port Alberni is planning to ride his entire riding all summer, endeavouring to see every part of it. • Currently, transportation accounts for 30% of all greenhouse gases. Swapping a single 5km car trip with a bike trip would keep 2,000 lbs of carbon out of the environment per year. Interested in putting your riding on the map or learning more? On March 15, Canada Bikes sent out an emailed questionnaire to all of the candidates running for the leadership of the Conservative and New Democratic Parties of Canada this year. The questions and the answersare below. We will be posting all their answers here as they arrive. 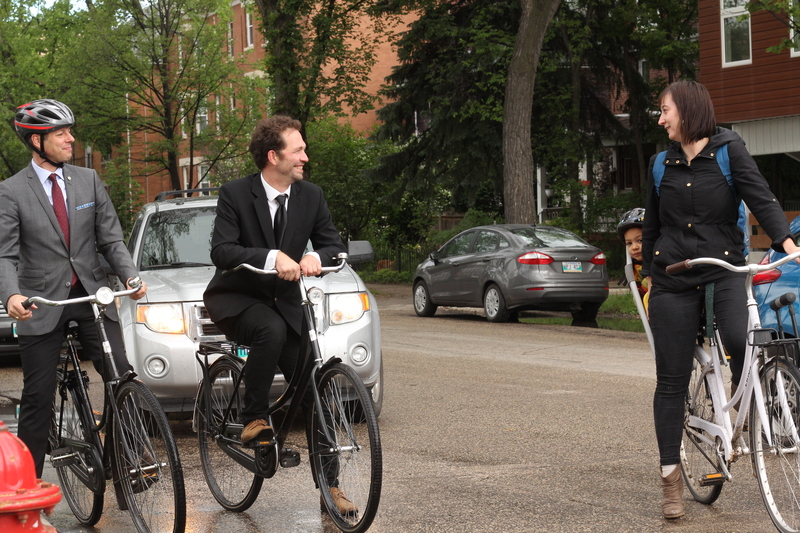 We look forward to working together to build a bike friendly Canada. We would like to commend you for making the decision to run for public office and would like to help you share your thoughts on cycling. To help us understand your views so we can share with our members and the public, we are asking you to complete the short survey below by March 24th. 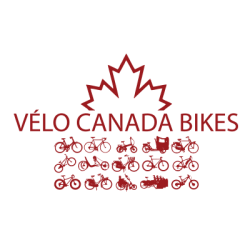 Canada Bikes is a national organization that includes 14 member organizations representing thousands of members in Canadian towns, cities and provinces from coast to coast. We want to improve conditions for the hundreds of thousands of Canadians who regularly bike to work. We share our vision with tens of millions of concerned adults and teenagers in Canada who do not ride to work but say they would if only they had safe infrastructure. We also represent millions of people of all ages who already ride for exercise or leisure or school and who would like to more often. 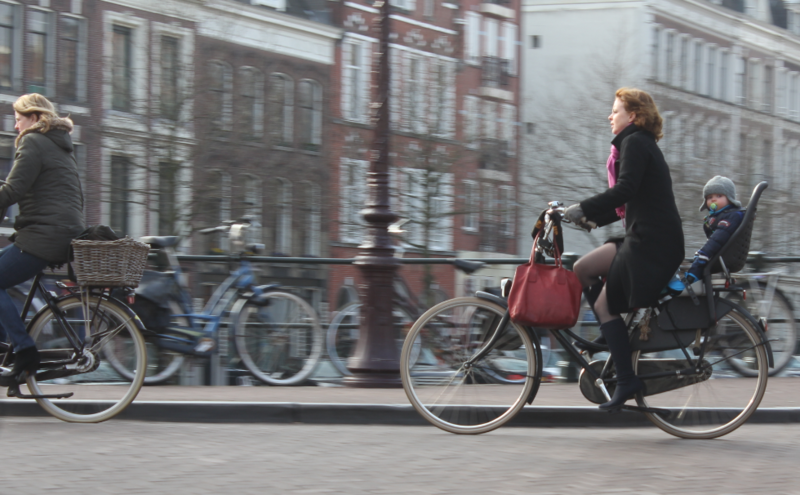 We also represent those who do not wish to ride bicycles, but want safety for their loved ones. Together, this is the vast majority of Canadians. We feel everyone should be allowed to experience the joy and benefits of cycling without fear or insurmountable barrier. Canada Bikes wants to support and celebrate politicians who share this vision and we know we can achieve great things for Canada together. 1. If elected leader – and eventually Prime Minister – your vision for cycling in Canada will reverberate across the country. Why do you believe cycling is important for Canada? 2. Do you support the creation of a National Cycling Strategy? 3. If you become Prime Minister, how much do you envision the government of Canada investing annually in cycling infrastructure while you are in office? 4. The overwhelming majority of parents in Canada want better, safer routes to school. Compared to peer countries in Northern Europe, whose national transportation and infrastructure ministries have invested trillions in cycling infrastructure for decades and set meaningful policy to improve land use and reduce traffic violence, Canada has done relatively little. As a direct result, our cycling to school rates remain dismal and young people are unnecessarily being steered toward a life of physical inactivity and chronic disease. Will you commit to Canada becoming a leader in children’s mobility and cycling to school within one generation? 5. What has been your favourite personal experience on a bike so far? Please reply directly to this email with the subject line (Support for Cycling in Canada Questionnaire) by midnight on March 24th*. It is our pleasure to do our best to help you share your message publicly. If you have secondary materials you would like us to share along with your answers – i.e. a social media, photo of you on a bike, platform link – feel free to include it. *The email to the NDP differs slightly as they choose a leader later. Candidates have until August 10th to respond. Because it’s healthy, invigorating, green and social. Cycling brings us together and helps us lead better lives! Yes! It should be part of our work with the Federation of Canadian Municipalities, as well as all those in Quebec, together with the provinces and territories. It will depend on infrastructure priorities set by municipalities, provincial and territorial governments. But I will give them strong incentives to support cycling and public transit. Yes! We need to make this commitment — and find ways to allow kids to self-propel to work even in winter! 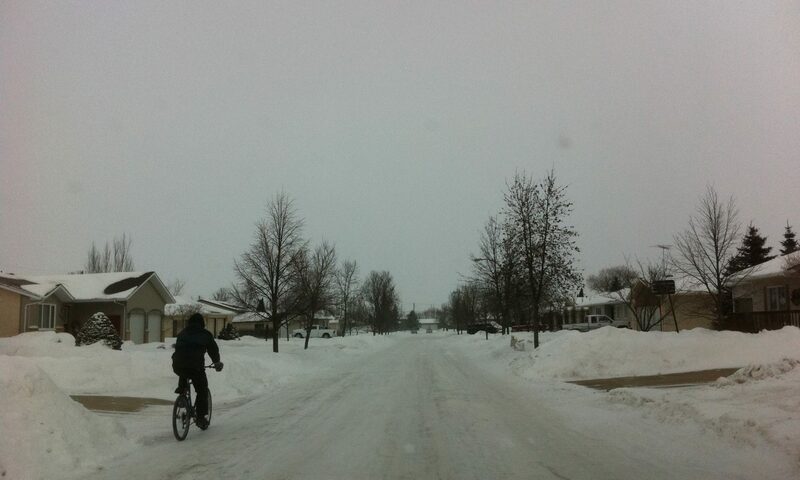 Snow bikes have come a long way, after all! The federal government should establish urban design and road safety norms for cycling — following Danish and Dutch examples, which are the best in my experience. We need to promote healthy active lifestyles in every way! Cycling, skiing, running and walking are all part of the solution. I made one fairly long trip down the Old Nipissing Road — now part of the Trans Canada Trail — a few years back. That was absolutely awesome! My wife and I also rented bikes in Paris a while back — and had a ball…. Thanks for bringing these questions into our campaign! They are truly important…. The Hon. Marc Garneau, Minister of Transport, recently announced that Transport Canada and the provinces will establish a task force to discuss safety measures to reduce injuries and fatalities involving cyclists, pedestrians and heavy trucks. This was prompted in part by recent deaths of two people on bicycles in Ottawa and Montreal – a sad, preventable and all too common element of the transportation landscape in Canada. Canada Bikes strongly supports measures to make our roads, our vehicles and the way they are both designed much safer for people cycling. We will be working with the Government to help ensure measures are implemented soon. We believe that people have a right to feel comfortable and safe on a bicycle anywhere in any community in Canada. 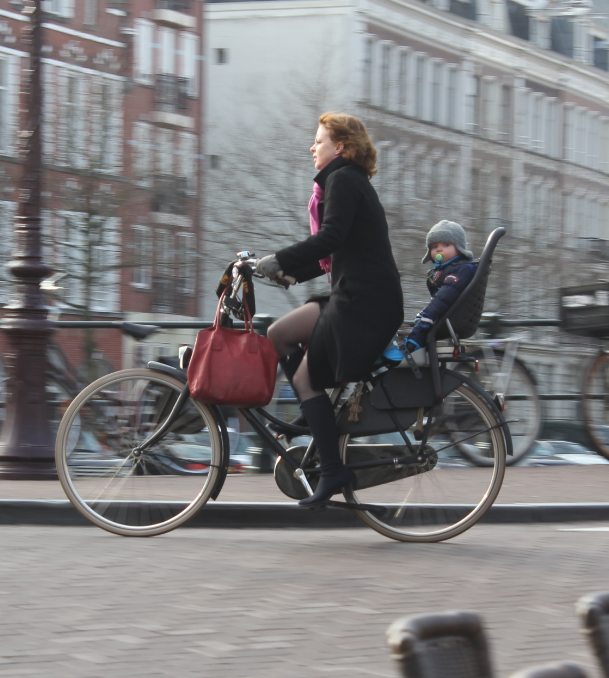 While cycling is inherently much safer than driving, our country still has rates of injury for people on foot and on bikes far higher than those in the world’s bike-friendly countries. More importantly, tangible fear of fast moving traffic and of poorly designed roads and vehicles keeps most people from even starting. That needs to stop. We know the solutions. We know that infrastructure investment and policy change result directly in safe roads, healthier people and more people riding. It didn’t happen spontaneously in other countries; they made a choice. We can too. Read our letter to the Minister.